What do you think being an independent venue adds to the way you programme your events, the outlook and ethos you have as a venue? Our aim is to stay as eclectic in our programming as possible but maintain the integrity of music and performance on offer. Also, being independent means we continue to employ people who care about the music that comes here rather than solely being focused on the balance sheet. We’re a family rather than just a job. There isn’t a big hierarchy so that ideas can be discussed and worked through quickly. The ultimate highlight is always being blown away by something completely new and inspiring – something unexpected that hits you in the guts. What do you think the future holds for independent venues? Are there any issues you are concerned about or feeling particularly positive about? Over the last few years the future has been bleak. We’ve lost many legendary venues and promising places but we can reverse the trend by working together. We’ve been working closely with the Music Venue’s Trust on their London Rescue Plan to protect grassroots venues in this city – it included recommendations like getting a Night Czar as well as legislative change in the Agent of Change principle which means that any new developments have to take care of soundproofing the new buildings, rather than risking complaints and closures of pre-existing venues. As a result of these changes and investments, the tide is starting to turn in the right direction again. As our founder Auro Foxcroft pointed out thanks to their good work this year we now have the same amount of grassroots venue in London as we when we started a decade ago. 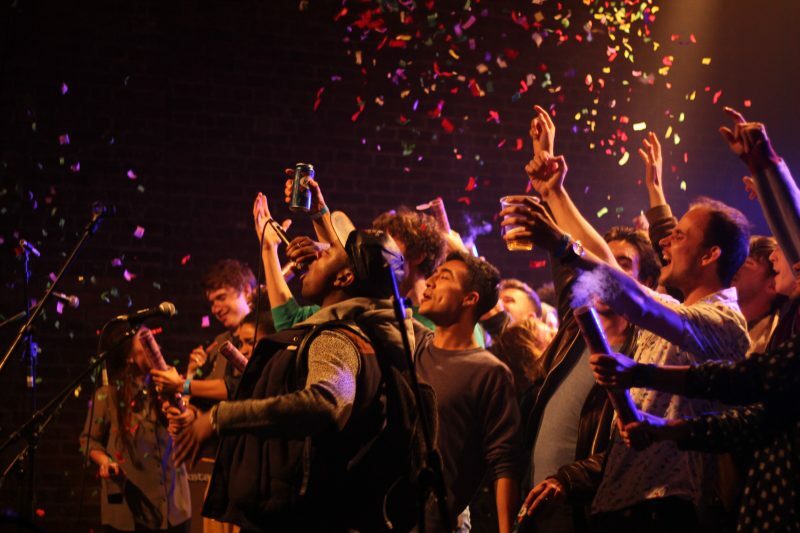 Can you name some of your personal Village Underground gig highlights? One of our favourite early gigs was seeing Pixies coming back together when Kim Deal was still in the line-up, it was great to catch them the second time round, with Frank Black at the happiest we’ve seen since. And talking of second comings, we were extremely luck to host The Stone Roses during the Olympics, they hadn’t played together in London for years and it was one of the hottest tickets ever. In the crowd was the whole of Team GB, Paul Weller, Jimmy Page, Bobby Gillespie, the whole cast of This Is England, Don Letts, Goldie- all singing their hearts out to The Roses terrace anthems. Away from the many big legends that we’ve been able to see in our modest sized space, the best thing about running Village Underground is the surprise of being blown away by something completely new and inspiring – something unexpected that hits you in the guts. Examples of this include everything from the ethereal Ukrainian Folk music of Dhakabraka to the full-on mania of Drake taking to the stage at Section Boyz to the tribalistic passion of Death Grips. What does 2017 have in store for Village Underground? We’ve just extended our 15-year lease so we can now plan for the next decade and a half and continue to push the music and artistic programme even further. We’ve also got some new venues in development, an education centre and our first in-house live animation and theatre production (Cat and Mouse). Plus a few more 10-year-anniversary surprises check out the website for more details.